If you are just starting out with fish-keeping, you will need to devote some time and research to choosing an aquarium and getting it set up properly. When choosing a first aquarium, it is best to purchase a small aquarium so you can get a sense of whether fish-keeping is for you without laying out a lot of money. However, you should be aware that smaller tanks are harder to maintain since it is harder to keep the water balance correct. 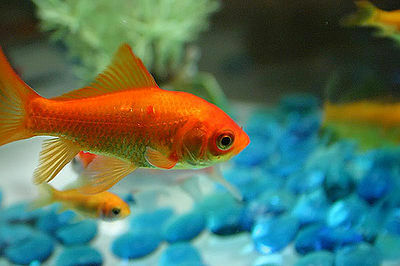 The size of your aquarium will be also be determined by the number of fish you plan to keep. Don’t forget to factor in how much space you have in your home or office. Tanks come in numerous shapes; rectangular is the most popular because these tanks appear larger than they are. You can choose between a glass and an acrylic aquarium. Glass aquariums are cheaper but they are heavy and tend to spring leaks. The links are easily fixed. 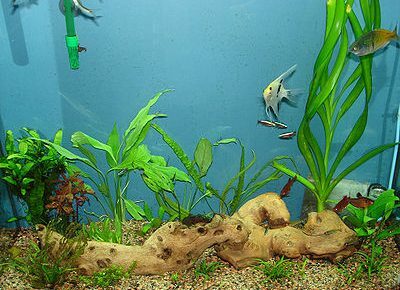 Acrylic aquariums are more expensive, but they last longer and don’t leak. They also come in more interesting shapes than the glass ones. They are also easily scratched. Plants are decorative and serve as hiding places for the fish. For a beginner, plastic plants are better since they are easier to maintain. Gravel is both decorative and holds the plants in place. Dark gravel will bring out the colors in tropical fish. Other options are sand, crushed coral, dolomite or argonitein in a saltwater tank. You will also need lights in your aquarium. Fluorescent lights give off little heat, are less expensive to run and are better for live plants. Grow-lights are not recommended because they encourage algae growth and don’t bring out the colors of the fish. If you don’t want to clean the tank by hand, you can purchase a water filter. These can be quite expensive. Depending on where you are planning to place your aquarium, you may also want a stand. The most important factor in choosing a stand is sturdiness. If you plan to keep tropical fish, you need a water heater. A timer for the lights is extremely useful. Set it to turn the lights on and off at a set time of day. This gives both fish and plants a routine. Once you have purchased your aquarium, you must decide where to place it in your home. As aquariums are big and heavy, think carefully before you set it up so you won’t have to move it. Place your aquarium in a central location so you will be able to enjoy your fish on a regular basis. Make sure it is accessible for regular maintenance. There should be empty space on all sides of the aquarium as well as on top, so you can reach all the different parts of the tank, such as the water filter and the lighting. You will need an electric outlet close to the tank and it is best if you place the aquarium near a water source. Keep it far from heat and air conditioning vents and direct sunlight, so you can accurately control the water temperature. Make sure the surface on which you place the tank is level so that it doesn’t tip over. If your aquarium is large, check that the floor can handle its weight. When choosing what type of fish to keep, remember that there are practical differences between a saltwater tank and a freshwater one. Saltwater fish are beautifully colored but are more expensive to buy. 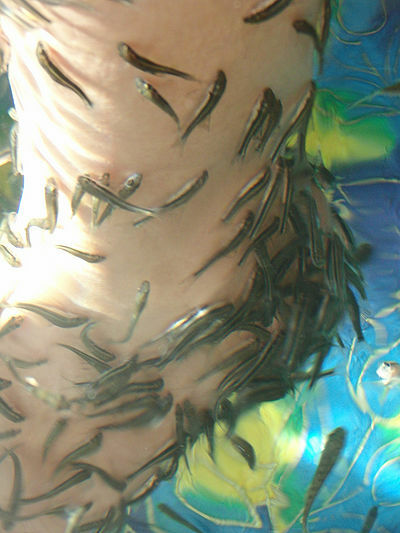 Since they are usually caught from the wild they are more difficult to feed and will have to be quarantined to rid them of disease before adding them to a tank with other fish. It is more difficult to change the water in a saltwater aquarium and more expensive equipment is necessary. However, if you are interested in adding invertebrates to your tank, a saltwater aquarium offers many more options. Some experts recommend that beginners start with freshwater fish and move on to saltwater once they feel comfortable with their abilities. to maximize oxygen transfer with the atmosphere. If you plan to add invertebrates you need to upgrade your lighting. Although a small aquarium can be converted into a saltwater tank, it is easier to work with a large tank. Experienced aquarists will tell you that a saltwater tank should be at least 55 gallons. An optional accessory for saltwater aquariums is an actinic blue light which gives a blue tint to the aquarium and enhances the natural colors of the fish.